How Far is NG Sierra? “SIERRA” is smartly designed luxurious bungalow in Undri. A project by NG Rathi Developer SIERRA gives you the choice owning 3/4 BHK luxurious twin bungalows & Row Houses with state-of-the-art amenities, which will fit your budget too. NG Rathi Sierra is huge township that has exclusively twin bungalows and row houses in the heart of Pune. 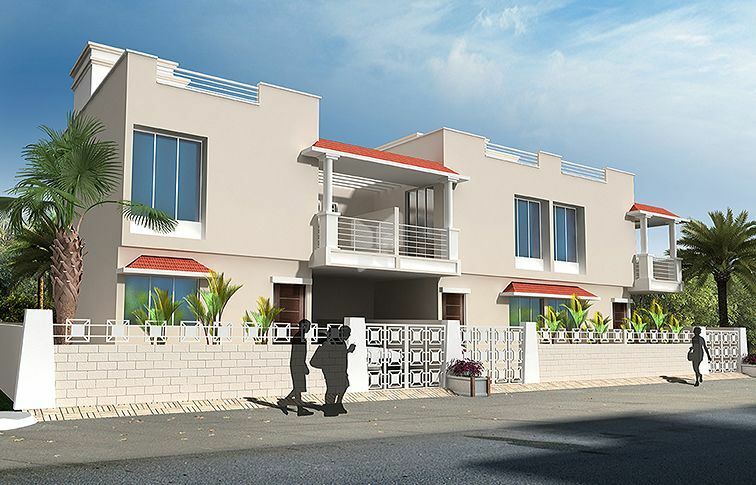 Built by the prominent developer, NG Rathi Associates, the property is located in the popular neighborhood of Pune and offers beautifully crafted 3 BHK and 4 BHK villas. This project is a hot choice for the residents not only due to its outstanding architecture, international standard amenities and reliability also due to its prime location that makes it even more desirable. So if you are looking for a home that fulfills every requirement without burning a hole in your pockets, do not miss out on this opportunity and book yours now! 6'' thick External & Internal fly ash Brick walls. Gypsum Punning on Walls. Lustre Paint for Walls and Ceilings. Sand Faced Plaster & Apex Paint Externally. Black Granite kitchen platform with Stainless steel sink with Drainboard (Nirali or Equivalent make) & wall Tiles up to Lintel Level. Provision for Water Purifier and Exhaust fan. Separate water Tap for Drinking and Washing. Microwave, Fridge, Mixer Points. 900*900 mm size Vitrified Tiles of Premium Quality with Skirting. Anti-skid ceramic Tiles of Premium Quality in Toilets, Dry Balcony and Attached Terraces. Wall Tiles ( Asian or Equivalent make ) upto Lintel Level. C.P. Fittings of Jaguar or Equivalent Make. White Sanitary ware Hindware Make. Provision for Boilers and Exhaust fan. Decorative Moulded main Door with Europa Night Latch. Teak wood Door frames with Moulded doors Shutters. Granite Door frames with Water Resistant Flush Doors for Toilets & Dry Balcony. fully openable Powder coated French door to attached terraces. Powder Coated 3- track aluminium sliding Windows with Mosquito Net & M.S. Grills. Granite sills for all sides of Windows. Adequate light points in Each Room. Concealed Copper Wiring with Modular Switches of Reputed Make. T.V. And Telephone line in Living & Master Bed. Provision for Inverter Connection. Provision of Washing Machine Point . 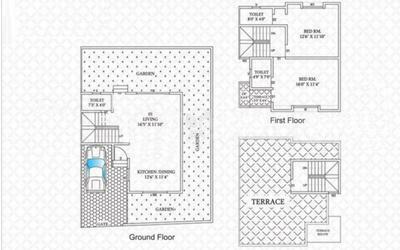 Provision of AC Point in all bedrooms. Provision of a CCTV Camera For Electrical safety, ELCB (Earth Leakage Circuit Breaker ) & MCB Switches.